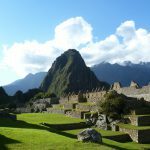 This Lake Titicaca and Machu Picchu tour takes you on an adventure through the ancient Inca heartland of Peru. 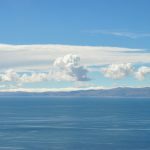 You’ll explore high-altitude landscapes and the superlative Lake Titicaca, discovering the fascinating communities that have lived on its waters for centuries. You’ll also explore Cusco and the Sacred Valley before embarking on a trek through the mighty Andes to the Inca citadel of Machu Picchu. This is a private tour (with some small-group excursions) and you will be accompanied by an English-speaking local guide during all excursions. The price displayed is per person based on two people sharing. All tours can be tailor-made to suit your interests and requirements. 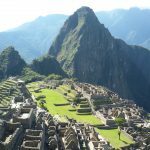 Depending on availability you could also approach Machu Picchu on foot by joining the classic Inca Trail Trek. 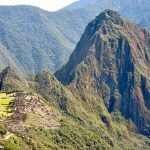 At its height, the Inca Empire covered a vast stretch of land encompassing most of the Andes mountain range, all the way from present-day Colombia and Ecuador, through to Bolivia, Peru, Chile and Argentina. But, the heart of the Inca Empire was in Peru, around Lake Titicaca, Cusco and Machu Picchu. The mighty citadel of Machu Picchu, perched high in the Andes, was one of the last strongholds of the Incas during the Spanish Conquest, and the city has been left incredibly intact over the centuries. On this tour you’ll be exploring the high-altitude landscapes of the Inca, uncovering layer upon layer of history and legend as you go. 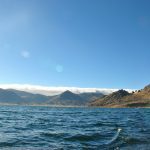 Beginning at Lake Titicaca, the highest navigable lake in the world, you’ll spend several days exploring its waters and islands by boat. From there you’ll continue to Cusco and the Sacred Valley, before trekking into the mountains. On the Salkantay Trek you’ll get to experience the Andes Mountains intimately, moving slowly through different eco-systems and terrains. You’ll camp out under the stars and hike over high mountain passes before dropping down to the warmer climes of the coffee region. Here the sparse scrubland of the mountains gives way to sub-tropical forests with pomegranate and avocado trees. After spending time with the rural communities of this region, you’ll continue your adventure to Machu Picchu, before finishing your trip with a dose of modern-day Peru in the capital city of Lima. Reception at the airport in Puno and transfer to your well-located hotel. After breakfast, take a full-day private guided motor-boat excursion on Lake Titicaca to explore the unique floating reed islands of Uros. For hundreds of years, this ‘Water Tribe’ has relied on totora reeds to build their floating villages, modest homes and boats. Continuing on to Amantaní Island, located 37km from Puno near the Capachica Peninsula, you’ll see beautiful landscapes, as well as a variety of arts and crafts, including ceramics, cut stone works, and a small-scale fur workshop managed by the local inhabitants. You’ll stay overnight in a private room in one of the community guest houses. After breakfast you will make your way by boat with your private guide to the unique island of Taquile. The Mediterranean atmosphere of this place is striking, with its mellow stone steps and small houses gathered around a village square. The indigenous community that lives here is made up of around 350 families who are direct descendants of the Incas, and known for their beautiful textile work. 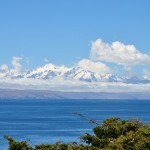 Taquile also offers magnificent views across the lake to the impressive snowfalls of the Real Mountain Range. You'll overnight in a comfortable community guest house on the island. After breakfast you’ll travel back to Puno and then on to Cusco by bus (approx. 6hrs). Along the way you'll make stops to enjoy beautiful views, take pictures and have lunch. 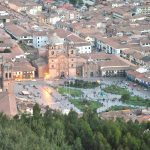 Upon arrival in Cusco you’ll be transferred to a comfortable hotel in town and the rest of the evening is free for you to relax. The morning will be free for you to relax at your hotel or take a walk around town. There are so many places to explore in this ancient city dating back to the 15th century. In the afternoon you’ll be picked up from your hotel for a city tour (group excursion), which will include a visit to the Plaza de Armas square, the Cathedral and Santo Domingo Church. 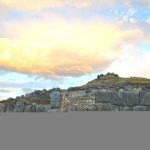 You’ll also visit the surrounding Inca Ruins which lie on the outskirts of town, such as Sacsayhuaman, Puca Pucara, Kenko and Tambo Machay. The tour ends close to the city's main square, the Plaza de Armas, where you'll enjoy an afternoon cappuccino. Early pick-up at your hotel for a scenic drive through the Sacred Valley of the Incas. Take in the sights and sounds of the lively Indian market in Pisac, where locals following ancient traditions sell or exchange their products and handicrafts. Later you’ll enjoy a buffet lunch at a traditional Tunupa restaurant in Urubamba. Then in the afternoon you’ll visit the Inca fortress of Ollantaytambo and Chinchero. As well as being an important archaeological site, Ollantaytambo is also a living town, and as you stroll along its streets you’ll feel as if you’ve stepped back in time. You’ll then head back to your hotel in Cusco for the evening. After an early start you’ll be picked up at your hotel for the journey to Cruzpata, the starting point of your Salkantay Trek (about 4 hours). You'll be hiking in a small group with other travellers. From there you’ll shoulder your pack, pull up your walking socks and begin hiking, either stopping for lunch along the way or fuelling up before setting off. You’ll arrive at your first camp in the early evening and after a hot dinner in the dining tent (complete with table and chairs) you’ll fall asleep under the stars in your private two-man tent. After waking up to a good breakfast you’ll head back out on the trail towards the high Salkantay mountain pass at 3900m. You’ll have incredible views of deep valleys and snow-covered peaks. From there you will drop back down to Colcapampa (2500m). This is where we’ll set up camp for the night after a full day of trekking through the mountains. After breakfast you’ll enjoy a more leisurely morning of walking as you descend through Andean forests to the warmer more tropical climes below. Here you’ll find coffee plantations and lush vegetation, as well as avocado and pomegranate trees. You’ll arrive at Lucmabamba around lunchtime where you’ll visit a small coffee plantation looked after by a local family who will be your hosts. You’ll spend the afternoon finding out about local life and coffee production, as well as enjoying a freshly brewed coffee or two. Tonight you’ll stay at the plantation guesthouse where you’ll enjoy dinner before getting a good night’s sleep in your private room. After breakfast you’ll spend the first part of the day visiting local families who farm the land here and learning about their traditions. 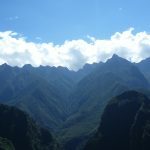 In the afternoon you’ll continue on to Santa Teresa from where you’ll take a train journey through the mountains to Agua Calientes, the closest town to Machu Picchu. You’ll spend the night at a comfortable two-star hotel in town and enjoy a good night’s sleep before visiting the Inca Citadel in the morning. 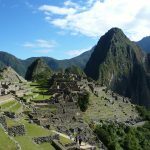 Enjoy a full-day, small-group excursion to the amazing Machu Picchu. Setting off early in order to make the most of the day you’ll approach the citadel on foot. On your guided tour of the complex you’ll be able to ask questions, learn about its history and listen to stories from the past. As well as this you’ll have time to explore on your own, taking in the majesty of the citadel’s architecture and its setting high in the Andes. Later that day, you’ll travel back to Cusco, first by train to Ollantaytambo and then by bus to Cusco where you'll transfer to your comfortable two-star hotel in town. Take a morning flight from Cusco to Lima - the culinary capital of South America. After checking in to your hotel you’ll be picked up for your private city and gastronomic tour. The tour will take in the city’s main sights, and you’ll also sample some of Peru’s most delicious dishes. The evening is free for you to relax at your hotel and head out to one of the capital’s many excellent restaurants to celebrate your last night in South America. After breakfast (or lunch) you’ll be met at your hotel and transferred to the airport in good time for your flight home. End of the tour. Your passport is required at time of booking. For information on visa requirements, immunisations and health formalities please visit the FCO Travel Advice Website or the US Travel Advice Website (direct links to Peru page). During the Salkantay trek you will be able to leave some of your luggage in a safe locker and take only what you need to carry for the hike. What to bring on the trek: Your passport, rucksack, walking shoes, spare socks, sandals, wind and waterproof jacket, warm clothes including hat and gloves, sun protection, sun glasses and hat, water bottle, water purifying tablets, torch and batteries, camera and batteries, travel towel, sleeping bag (can be hired), insect repellent, snacks, swimwear. Tagged as active, agriculture, Andes Mountain Range, archaeology, boating, coffee, cultural experiences, cultural heritage, handcrafting, hiking, indigenous peoples, Lake Titicaca, Machu Picchu, sightseeing, traditional gastronomy, wildlife.